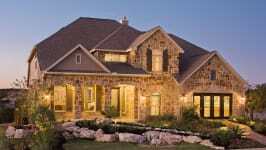 Quality homes for every investment, in communities that match every lifestyle. 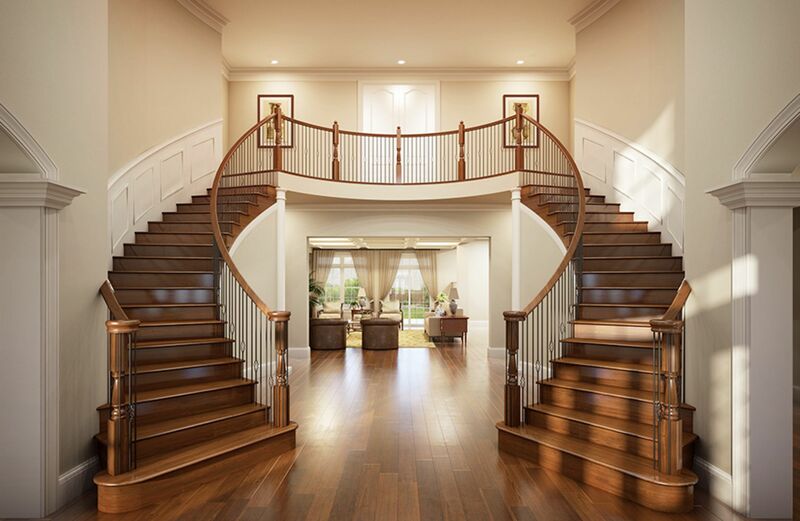 Since 1954, Lennar (NYSE: LEN) has had the privilege of helping hundreds of thousands of families move into the next stage of their lives with a new home. 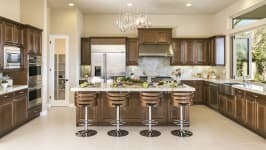 We build homes in many of the most desirable cities in the U.S. and for all home buying needs including investment properties, vacation/seasonal homes, second homes and multi-generational homes to accommodate your changing family needs. 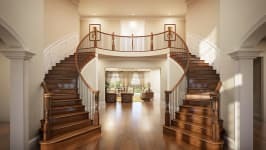 Our communities cater to all lifestyles and include urban, suburban, active adult and golf course living. 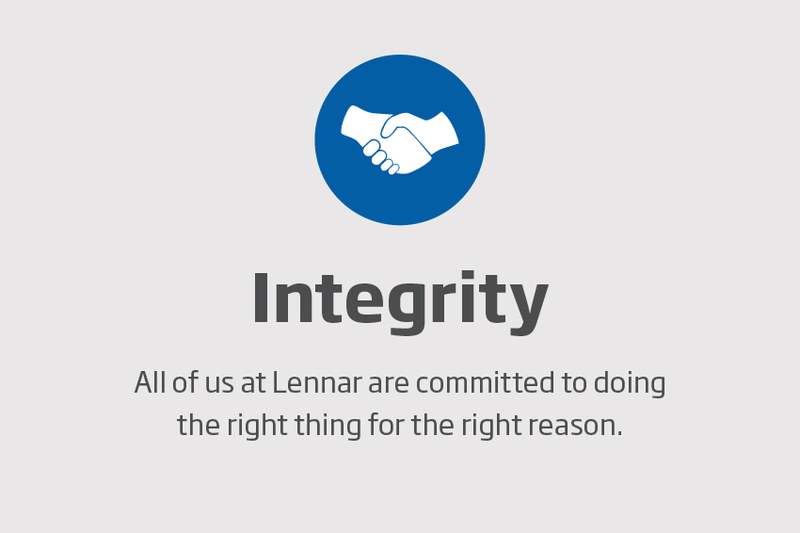 At Lennar, we hold ourselves to the highest standards in caring for our customers, associates, shareholders and community. 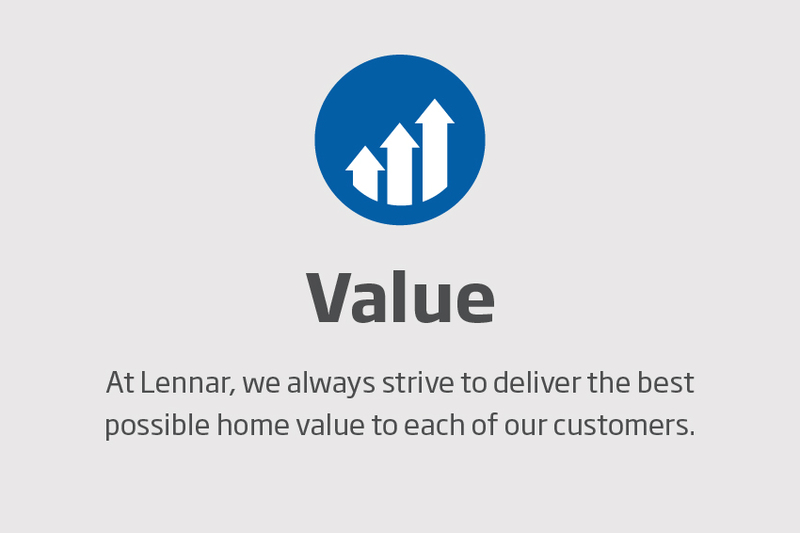 Lennar’s commitment to Quality, Value and Integrity is the underlying foundation upon which we were built. 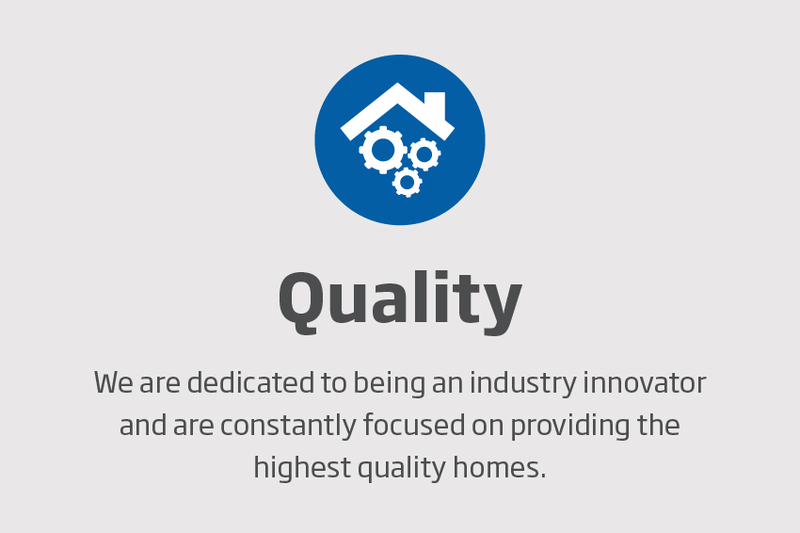 And today, with more than a half century of experience behind us, this commitment continues to guide us forward.